Little Office of the Blessed Virgin Mary: 18. JESUS IN THE TEMPLE. 18. JESUS IN THE TEMPLE. THE INFANT JESUS IN THE TEMPLE.— FIRST COMMUNION. Tears passed away, and the Infant Jesus grew in age, and wisdom, and grace, before God and before men. As He grew older, the grace and divine wisdom with which He was filled shone forth more and more brightly. Yesterday we were admiring the light thrown on the life of the Holy Family by the simple words of the Gospel. The Child grew under the eye of God His Father; His divine grace shed a charm of peace on the rough labours of this poor household i Infinite Wisdom shone on His young brow, and enlightened it with such sweet gravity, and such wonderful majesty, that even human observers were struck, and each one said to himself: "The blessing of God is on this Child!" With what silent wonder, with what tenderness mingled with deep reverence did Mary and Joseph see these treasures of holiness daily develop themselves ! They worshipped their God in this Child, so gentle and so simple, who worked for them, was obedient to their voice, and loved them! What is there upon earth more sweet than the simple trust and devoted tenderness of a good son ? And if God gives us so much happiness in the tenderness of our children, what grace, what an unspeakable charm must there have been in the tenderness of the Infant God! But the Blessed Virgin Mary did not pass these beautiful years without suffering. She is called the Mother of Sorrows. The most afflicted among us has never suffered anything that this spotless creature has not suffered before him. Pear and uneasiness are in this world the portion of mothers. When they see their child growing, and think of all the dangers, all the sufferings, which their tenderness cannot spare him, oh, how many are their tears, their long watches, and their prayers! How many times, after having looked at her children, joyous and careless as they are at that innocent age, the mother's face becomes grave, and her eyes fill with tears. She is thinking of the time when the child, still young, will leave home and begin his toilsome life by working amongst strangers. And then her thought goes still farther. (This refers to the conscription which is carried on in France, by which young men drawn by lot are forced to become soldiers, whether they will or no.— Trans.) She sees him a young man, drawn by lot, and sent as a soldier, leaving his village, and his old parents, who have so much need of his strong arms, perhaps to incur many dangers. Under different forms every mother knows this anguish, for labour and dangers are the portion of all men in this world. Mary also has known them, and with a bitterness that we can hardly understand. Had not Simeon told her that her beloved Son would be a sign to be contradicted? Were not the Holy Scriptures also the constant subject of her meditations ? Did she not see in the prophets the history of the Man of Sorrows traced even in its smallest details? and that which was obscure to the Jews could not be so to a mind illuminated with light as was hers, to a soul in which sin, pride, or rebellion had never raised clouds to obscure the truth. Even supposing that God Spared His handmaid the clear sight of the Passion, such as it was to be, did she not read in every page that her Son would bear all the burden of the iniquities of His people, and would save them by taking on Himself their chastisement? Let us then picture to ourselves, on one side that infinite glory, that unparallelled happiness which the presence of the Infant Jesus, His tenderness for His Mother, and His least words, caused to Mary; and on the other, the certainty of terrible sufferings, be they what they might, and judge what Mary must have suffered. We know that, by praying to God for our child, by preparing him for life by a good Christian education, we can keep off many dangers, and spare him many sorrows; but she, the spotless Mother, condemned to suffer more than all other mothers, she knew that her Son was only come into this world for that inevitable Passion, the bitterness of which would surpass that of all human sorrows, as much as the Incarnate God surpassed the mere sons of Adam. Each new ray of heavenly intelligence, which she saw appear in Him, reminded her that this treasure did not belong to her, that she would soon see Him leave that poor home, the obscurity of which still protected Him. Each day brought nearer the end of these peaceful years, and the beginning of the mission of sorrow. On a certain day, when the Child Jesus was twelve years old, the Holy Family set out on a journey, with their kindred and friends of Nazareth. (Archelaus was no longer king. Having made himself odious through his cruelties, he had been deprived of his kingdom by Augustus, and banished to Vienne, in Dauphiny. There was therefore now no longer any danger in taking the Child Jesus to Jerusalem.) The feast of the Passover was approaching, and the faithful Jews betook themselves to Jerusalem, to worship the true God in the only temple in which as yet He was pleased to manifest His greatness. From all parts of Judea, from all the countries in which the Jews had remained settled since the captivity, the crowd of believers assembled to celebrate the first deliverance of the people of God and to eat the pasch in remembrance of the exodus from Egypt. The word pasch, signifies passage. At the time of their passage from the land of slavery to the land of promise, the captive Israelites received from God the command to sacrifice a lamb in each family and eat it standing, their loins girded about, as travellers, staffs in their hands, and to mark the door of every dwelling with its blood, so that the destroying angel who was to strike all the first-born of Egypt might pass without stopping before the threshold of the servants of God; That spotless lamb, whose blood preserved the children of Israel from death was a type of the Holy Victim who was to be sacrificed for the salvation of the world. This pasch, eaten every year by the faithful Jews, was the type of that unleavened bread which Jesus Christ, the Lamb of God, Himself transformed into His own Body and Blood, and which His Apostles and priests, in His name, transform in the same way for the food of our souls. 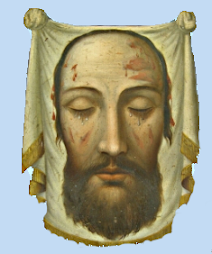 Our Saviour consecrated anew the holy solemnity of the Pasch, by the remembrance of His glorious resurrection, and commands all His servants to come on that day and to partake, no longer of the typical lamb, but of the true Victim, Whose Blood has saved us from eternal death. But as His mercy has infinitely multiplied the graces given formerly to the children of Israel, this Pasch, eaten only once a year, in one only temple upon earth, is now daily offered to souls by Jesus Christ. He . dwells amongst us in thousands of sanctuaries. The poorest church in the poorest village is richer far than the temple of Jerusalem; for the Incarnate God Himself dwells there in His adorable Flesh and Blood. And whilst even the most faithful Jews remained in the courts of the temple, far from the sanctuary, into which the priest alone had the right to penetrate, and where anything profane would have been struck with death, the greatest of sinners can come and kneel before our tabernacles, where the God of mercy awaits him with open arms; confession and a few sincere tears can give him back his place at the table of the Father of the family. This part of the life of Jesus and of His holy Mother is filled, like all the rest, with the highest teaching for us. Our Saviour was twelve years old; the days of His early childhood were passed. For the first time Joseph and Mary took Him to Jerusalem to eat the Pasch. Then for the first time a ray of His Divinity shone before the eyes of men. He said to His Mother, with a firmness new in Him, " I must be about My Father's business." There is also an age at which Christian parents for the first time lead their child to the foot of the altar, to eat the Pasch of the new law, and when the future Christian, enlightened in his faith, and firm in will, is for the first time to be seen in that young disciple of Jesus, when he is to say voluntarily, and for all his life: " I must be about my Father's business." And the age is generally that at which the Infant Jesus went to celebrate the Pasch at Jerusalem. As soon as a son of Adam is born the Church receives him into her arms, and the holy water of baptism cleanses him from the stain of original sin, and makes him a Christian. But the new-born child neither asks for nor understands the wonderful grace he receives. His young soul still sleeps. By degrees, as he grows, the teaching of his mother, and the pious example of a Christian family, should make him acquainted with the grace already received, and inspire him with love for the God of goodness, who has in store for him so many other favours. But as soon as infancy is past, and the ideas of the child develop and take form, more serious teaching must be united to that of his mother. The Church herself, through her ministers, must interfere to teach him the great truths of our Faith. Our task is to prepare the ground well, to pick out the stones, and to pull up the brambles and thorns. But when once our labour has done this, and the good season is come, we must call to our aid the Divine Sower; He it is who, by the holy instructions of our pastors, will sow the good seed in the heart of the child. Then his mind will open to the things of God. He will learn those holy laws which command men to pray as he has always prayed, but hitherto only in obedience to his mother, and to perform those duties which he has performed almost without understanding them. He will learn to know still better the God whom he has loved from his earliest years, and when the blessed day of his First Communion comes, voluntarily and with all his heart, will he renew the promises which his godfather and godmother made for him on the day of his baptism. He will labour voluntarily to purify his heart, and to adorn it with virtues, to receive Jesus, who is pleased to come down into it. He will voluntarily make the holy resolutions which are to influence his whole life. Let us take heed not to lose these precious years of preparation for First Communion let us be regular in sending our children to the catechism instructions. And let Christian mothers redouble their zeal during this time, which will so greatly influence the future Christian life of their children in this world, and their eternal salvation in the next. If their work prevents them from being themselves present at the instructions, let them at least make their children repeat them at home in the evening, so as to be sure that they are understood. Those parents who can read should hold the catechism in their hands, while their children repeat what they have learnt. Thus the labour of the priest will be lessened, and he will have more time to explain what the child already knows by heart. Those who cannot themselves read will surely find some kind neighbour to help them in this task, and to catechise their children together with her own. Then let the mother do what none can do so well as her; let her speak of God to her child; above all, she must give him a good example, and more than ever, at this time, when everything should unite to prepare and sanctify his soul. She must reverence this young soul, so soon about to become the sanctuary of the living God. Let us remember that one bad word, one sign, I do not say of irreverence, for I hope that not one of us is capable of that, but of indifference to the holy things he is taught in his catechism, may check the fervour of his soul, and close it to the love of God. Alas ! what misery, what a terrible responsibility! Let us remember these words of our Saviour: "Whosoever shall scandalize one of these little ones that believe in Me; it were better for him that a millstone were hanged about his neck, and he were cast into the sea." (St. Mark ix. 41.) Let us rightly understand this great act of First Communion. It is often sad to see parents regarding this event, so serious and so decisive for the Christian future of their children, with merely human feelings, which prove that they understand neither its great sanctity, nor its great importance. The child cannot be placed in a situation before his First Communion. (This, of course, only applies to Catholic countries.) The good old customs of our fathers have established that, unless in a case of great necessity, he should remain under the eye of his parents, to be educated, and to prepare himself for his First Communion, and not leave his family until he is instructed in the truths of his religion, and fortified with that divine Food which is to be the strength and support of his whole life. It is a pious custom, and should be observed. The poor child, who is going so far, perhaps, from his father's house, has great need to be prepared for this rude life, and to bear in his heart and in his memory, something to console and guard him. How sad to see parents hastening thoughtlessly and without reverence the time fixed for the First Communion, and irritated when the wisdom of their pastors refuse what they ask against the interest and the eternal salvation of their children. "We cannot support him," they say, "he must have a situation, and gain his livelihood, as we do." It is a hard thing to gain bread for a numerous family, there is no doubt of that; but let not parents deceive themselves, let them not suppose the child fit to leave his family until they have prepared him to live as a Christian and an honest man. They may one day bitterly repent having sent him far from them before he well knew God and his duties. Let them give their child the alms of another year's teaching, if it be necessary. They never refused him bread when he was too young to work, and when the care which his weakness required prevented his mother from working herself. Now that he is stronger, let him work with his mother. She should do for his soul what she has done for his body. She should support her child until he is old enough to understand what he must know before receiving his God in holy Communion. Let us remember these words of the Child Jesus: "I must be about My Father's business." They apply wonderfully to the life of the Christian child during the two years that precede his First Communion. That should be the chief business; nothing should interfere with the catechism. For that there is neither excuse nor delay. Where he is taught to know his Heavenly Father there should he be. If parents are thus faithful in preparation for the First Communion, what a blessing will be theirs. Their child will then be the faithful image of the Infant Jesus at the same age. They will see on his open brow a reflection of the Divine wisdom. They will wonder at the progress of his young mind, and sometimes his knowledge of the law of God, his ingenuous faith, the grave teaching that he repeats with such simplicity, will cause in them a feeling almost like that of Mary, when she heard the Child Jesus answering the doctors in the temple. That miracle has been more than once renewed: there are people in the world who have passed their whole lives in study, and yet know not so much as a little child of twelve, who knows his catechism well, and loves God with his whole soul. Their hearts, are proud, they wish to judge and discuss that which we must simply know and believe, because God has revealed it; and because Faith is wanting to them, they are and remain all their lives poor ignorant creatures, in spite of their useless labour. Let us also ever remember that our child belongs, not to us, but to his Father who is in heaven. Let us consider this still more seriously when the first years of his life are past, and the age is come at which his young soul has to do directly and voluntarily with God. Let us have no thought but of making him a good Christian, and let us not believe that that hinders us from making him clever in his profession or trade, and a useful man to his family and to society. Will not he who works through a sense of duty, and sees heaven as the reward of every effort, have more courage than he who works merely to gain his daily bread ? Let us make our child a good Christian, that he may be a good workman; in order that he may perform actively and honestly the duties of this world, let u$ accustom him to look upon them only as a means of reaching heaven. The tenderness of good parents for their children should be wise and generous. All their personal wishes should yield to consideration for his salvation. They should be perfect as their Father in heaven is perfect, that their fatherly authority may be an image of the divine authority, and that their guidance may be to their child a visible representation of God's Providence. In this as in all else, they will find self-sacrifice, a sacrifice of their pleasure, of their tendency to over-indulgence, or of their impatience. They should reverence in their child the image of the Child Jesus. Wherever is the business of God his Father, thither should they guide him with all the strength of their understanding, and in a spirit of self-sacrifice. How great will be their reward! When the humble Mary, with perfect obedience, had accepted this first word, which began the mission of her Son, Jesus took her hand, returned with her and St. Joseph to the cottage at Nazareth, and, as the Gospel tells us, was subject to them. When Christian parents have brought up their child in the love of God from his earliest years, when they have deprived themselves of his work that he may always attend the First Communion instructions, they will see him return to their homes like an angel of benediction, bringing with him obedience, courage in labour, and that pure holiness of childhood which sanctifies all around it. If the cruel necessities of life oblige them to Send him from them, they will at least have the joy of knowing him to be furnished with that strength which comes from on high, and which, when he is far from them, and deprived of the safeguard of his home, will keep him holy, honest, and happy, supported by his Faith and by his God Whom he bears in his heart. And how will they rejoice when their old age is cared for, and their grey hairs are reverenced by that good child, who will have become a good Christian, a good labourer, and a devoted son, because they have been devoted parents. If we desire to reap in the autumn, let us sow in the spring, and may God aid our efforts by sending down His blessing on us and on our children. Holy Virgin Mary, thou whose heart, so resigned in its anguish, had the courage to offer to God the sacrifice of thy Infant God, teach us to love our children as a sacred trust, of which we are the guardians but not the masters. Teach us to consider their souls as a garden belonging to our Lord, where nothing should be sown but what pleases Him, and from which nothing should be pulled up but what displeases Him. 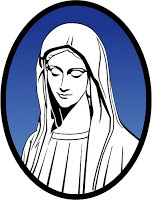 Above all, dear Mother, obtain by thy powerful intercession, that our watchfulness may be redoubled, and that our disinterestedness may be increased, when, for the first time, the householder is about to visit His garden, so that our humble labour may be united to the dews of heaven, to call forth flowers of virtue from a soil cleared of every evil weed. Be thyself, O blessed Mother of Jesus, the Mother of our little children, so that, after the example of thy Divine Son, they may grow in grace and in wisdom before God and before men. Never to allow our children to miss the catechism instructions.